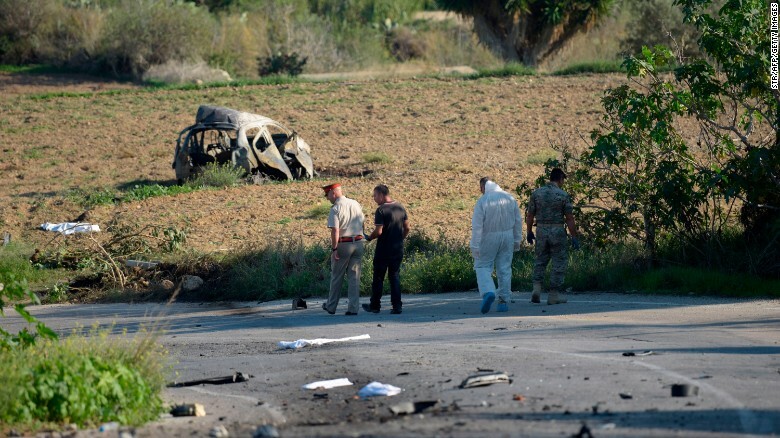 (CNN) The son of Daphne Caruana Galizia, the investigative journalist who was killed in an apparent car bombing Monday in Malta, says his mother was “assassinated” because of her work uncovering corruption. Police and forensic experts inspect the wreckage of the car following the explosion on Monday. “My mother was assassinated because she stood between the rule of law and those who sought to violate it, like many strong journalists,” he wrote. 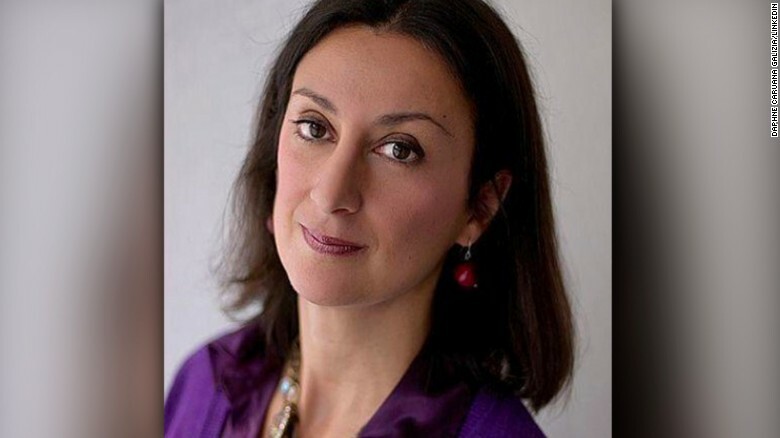 Caruana Galizia, who had led the investigation into the Panama Papers and alleged corruption within political circles in Malta, was killed Monday after her car exploded soon after she left her home in Bidnija, close to the town of Mosta. 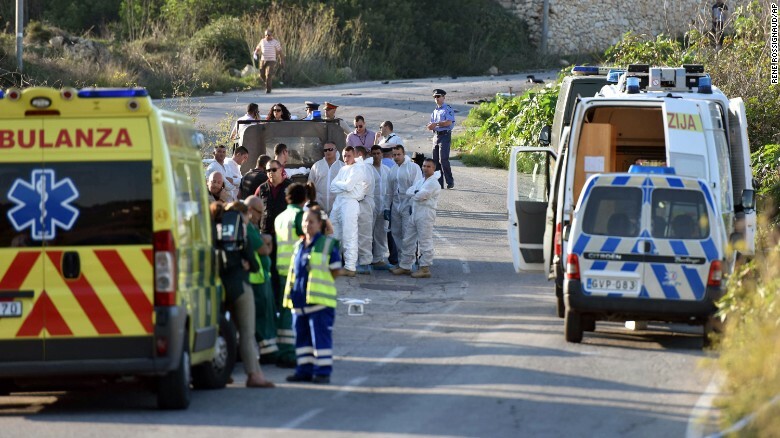 A police investigation is underway with officials from the FBI and Dutch forensic experts also examining evidence, according to the Maltese government. 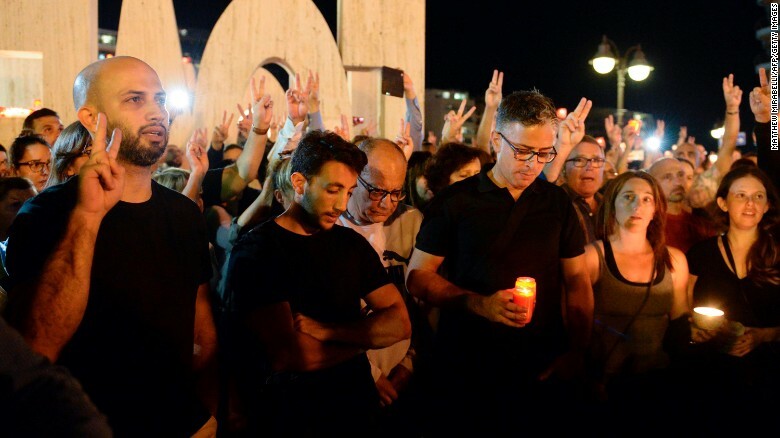 Thousands of people gather for a candlelight vigil in Sliema in tribute to Caruana Galizia on Monday. 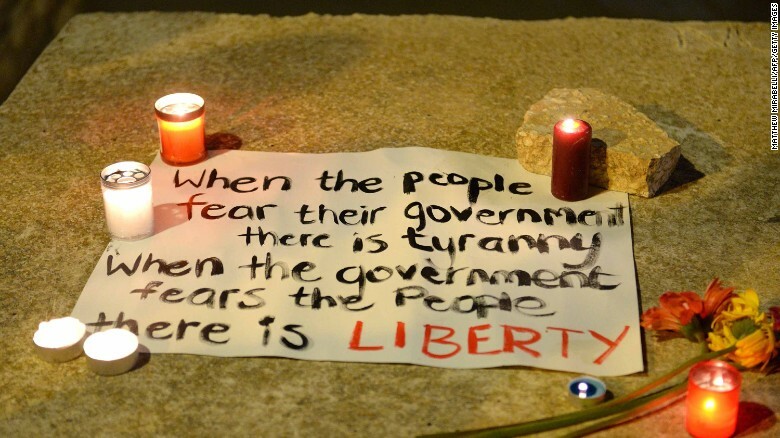 A vigil was held on Monday night with mourners lighting candles in Sliema, near the capital city of Valletta. Caruana Galizia’s popular blog, “Running Commentary,” was one of the most influential within Maltese politics. It was a leading factor prompting Prime Minister Joseph Muscat to call early elections four months ago after she alleged that he and his wife were linked to the Panama Papers scandal. The couple denied allegations that they had used secret offshore bank accounts to hide payments from the ruling family of Azerbaijan. Muscat also said that there “will be absolutely no impunity for anyone” involved in the attack. Mourners brought their own tributes to Caruana Galizia. Ambulances on the scene of the explosion on Monday. In her blog, the 53-year-old journalist regularly reported on allegations of corruption across the country’s political sphere. But Muscat’s statement has not reassured Caruana Galizia’s son. CNN’s Christiane Amanpour contributed to this report.